BU, CMU, Duke, JHU, NYU, Northwestern (honors), Rice, Tufts, UChicago, UMichigan, WashU, and Wesleyan! 4D Learning Coach has an excellent track record. Over the years, many students coached by the 4D Learning Coach Services have been admitted into the Ivies and many other top tier colleges. Please see the list of students who have matriculated into the Ivy+ schools during the last a few years below. Please note that we are reporting here the number of students who have matriculated. In fact, the actual number of students have been accepted by top tier colleges are much higher, because our students are often accepted into multiple top tier colleges at the same time, while each student can only commit one college. Hence, we only report one college per student to make it simple and straightforward. If we were to report all of the colleges that have accepted our students, the list will be much, much longer. Overall, all students graduated from high school who have been advised or coached by the 4D Learning Coach Services have been accepted into the colleges of their choices. Our success rate has been 100%. (Note: There are 10 schools in the Ivy+ (Ivy Plus) Association, which is made of the original 8 Ivy League schools plus Stanford and MIT). At the beginning of my high school career, I was definitely frazzled and lost when it came to applying to top colleges, and Columbia University was my dream for as long as I could remember. I was overwhelmed by the application process, but Dr. Yu from 4D really helped me hone in on exactly what steps I needed to take to get there, and more importantly, how to approach those steps. As a high school senior struggling to find balance and a clear route to pursue, having Dr. Yu help me every step of the way truly taught me what to focus on and to change my mindset. He has helped, guided, advised, and encouraged me, and he truly does care about your success. The 4D system is built to personalize your college application portfolio, so you can focus on all elements of your application and figure out what route works best for you. I started working with Dr. Yu early on in high school, and he has guided me through and through, from start to finish, throughout my high school career, and later during the college application season. Early on, he has helped me decide on what classes to take throughout high school, develop study habits, and prioritize time management. He really takes the time to understand your background, goals, and strengths, and will give you direct advice on how to move forward and achieve these goals promptly and successfully. 4D’s services are personalized for you to help you maximize your chances at your dream schools, and will provide you with all the resources, knowledge, insight, and support you need. Throughout college app season, I probably wrote over a dozen essay drafts for my Common Application, and I sent each of them to Dr. Yu to proofread. He would send each back within a few hours with advice, comments, and suggestions. He gave me the criticism I needed and led me to my final successful essay. Additionally, he coached me through my interview processes, as he conducts model interviews and instructs you on how to interact with various types of questions; I was able to arrive at my alumni interviews prepared, confident, and well-versed. Additionally, Dr. Yu also provided immense help with the development of my raw materials, and taught me how to emphasize on my strengths in my application. Because of his experience and advice, I was able to change my perspective on how I viewed myself and my application, and I think that allowed me to stay true to myself and show what I do best. I don’t think I can thank Dr. Yu enough for the personalized assistance he’s helped me through this process. I was able to organize my ideas, strengthen my accomplishments, and present a well-thought out statement of who I am, and why I could succeed at the colleges I applied. With Dr. Yu’s experience and knowledge in the college application field, I assure you that you won’t go wrong with his help. He will lead you to success as long as you are open to it! He is immensely dedicated to supporting you and seeing you succeed. His honesty and dedication is hard to find, and I highly recommend 4D’s college services. The services offered by 4D Learning Coach were incredibly helpful to me over the course of the college application process. I am enormously grateful for Dr. Yu’s advice and support, and it was a wonderful reassurance to know that he was there to answer any questions I had. Under Dr. Yu’s guidance I was accepted into my first choice college, Brown University, and am immensely looking forward to attending next fall. I am particularly appreciative for Dr. Yu’s help in preparing for my interview, and I felt that I was much more comfortable and relaxed after having the opportunity to work one-on-one with him. I was a part of 4D for several years. I used the college consulting services provided by 4D, and they made a huge difference in my preparation for college. Dr. Yu has an intimate knowledge of the college selection process, with which he advises students on how to best maximize their time and and resources throughout high school. Unlike other sources I've used, the 4D college consulting service provides specific and detailed assessments of the actions one needs to take, and they have clear results. 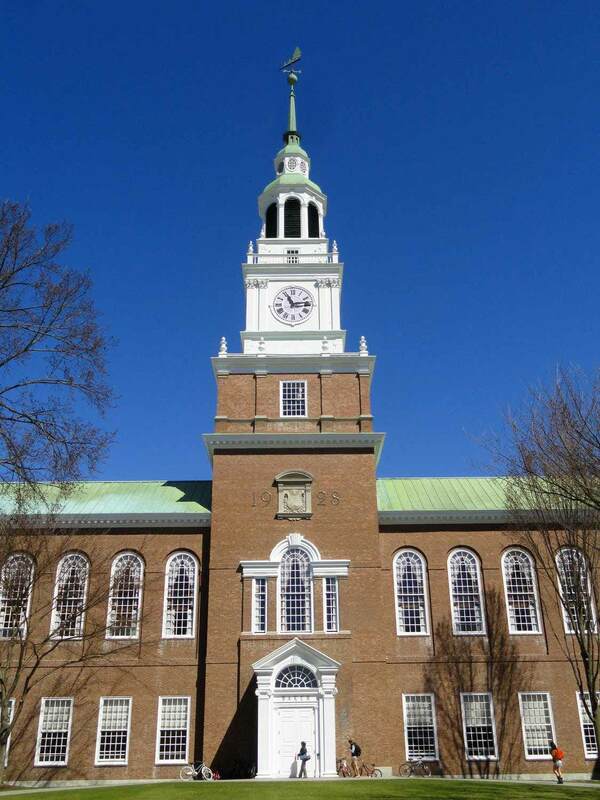 Currently, I'm a freshman at Dartmouth College, and I plan (very tentatively) on majoring in Chemistry. I'm taking General Chemistry this term, and I've quickly realized that the only reason I'm doing well in the class is because Dr. Yu told me that I absolutely had to take AP Chemistry online when my school did not offer it. It can be difficult in high school to have a proper perspective of what's important to study and what is not worth spending valuable time on, and Dr. Yu helped me to achieve that balance. The 4D Learning Coach was there for me at every step of the college admissions process; despite applying to multiple colleges, 4D allowed me to handle each of them with ease and confidence. Even though I was horribly busy with senior project, graduation, and a handful of AP classes at the time, my College Advisor from 4D Learning Coach was still able to work with my schedule and discuss my potential plans for the future. I am now wholly content as a student at Brown University's PLME program, and I am grateful to 4D for being such an integral part of my applications. If you are interested in registering for the 4D Learning Coach's College Counseling Services, or if you have any questions, please call 4D Learning Office at (401) 402-0435 or send an email to offprivateiceSAT@4dlearntutoring.org. If you are local, we could set up an appointment. There will be no charges for any consultations and/or evaluation prior to the official enrollment. We do not take walk-ins. Once you complete the form, you may proceed to the payment page, or you can request to schedule an appointment with 4D Learning Coach staff. Free of Charge, Unlimited College Counseling Service. Special price available for the College Application Essays Service. Skype, FaceTime, Telephone, Email, etc.